Two years ago an overwhelming majority of Crimeans voted in favor of reuniting with Russia - a move that was met by Western condemnation and sanctions. While the sanctions persist, attitudes towards the people’s choice are changing. A fresh poll conducted by British Populus and French Iflop research companies, ordered by Russia’s Sputnik news agency, revealed that roughly a third of Europeans and a quarter of Americans consider Crimea a part of Russia. Some 39 percent of Italians, 37 percent of Germans and 33 percent of UK citizens said that Crimea is Russia, according to the survey. In the US, 26 percent of respondents said Crimea was part of Russia, with 42 percent saying that they had no idea about the Crimean issue. The Crimean peninsula refused to recognize the new government in Kiev, which came to power on February 21, 2014. The majority Russian autonomous republic feared the coup-imposed Ukrainian leadership wouldn’t represent their interests and respect their rights. Crimea and Sevastopol, a city with a special status on the peninsula, voted for independence from Ukraine and rejoining Russia in a referendum on March 16, 2014. The decision was supported by roughly 97 percent of voters with an 83 percent turnout. However, the US and allies its allies refused to recognize the referendum and slapped Moscow with sanctions, which are still in force. The policy of “non-recognition” of the Crimean referendum is still going strong in the West, but this attitude is slowly changing, as Richard Sakwa, Professor of Russian and European politics at the University of Kent, told RT. Westerners are coming to “an acceptance that the overwhelming majority of the Crimean people did want to rejoin Russia,” Sakwa said. “There is an understanding of the aspirations of the Crimean people. Plus of course the blockade put by radical forces within Ukraine does not really help the Ukrainian cause,” he added. However, the expert acknowledged the “big division” on the Crimean issue among European leaders as many have always used the word “annexation” in connection to the Crimean reunion with Russia, while those on the “other side” understand that the peninsula was only under Kiev’s control from 1991. Sakwa stressed Kiev is to blame for the current status of Crimea as it failed to account for the interests of its population. “The other element of this crisis is the failure of the Ukrainian government in the last two years to become more pluralistic. The paradox at the moment is that this relatively nationalistic in Ukraine, and some quite intolerant actions [are] effectively being supported by some within the European Union,” he said. “There is criticism. But on the whole it is being endorsed. And this is the other paradox, a government which repudiates some of the fundamental principles of the European Union is being supported by the European Union and the US,” the professor added. French politician, Christian Vanneste, also expressed opinion that in due times the majority of Europeans will accept Crimea's choice. “I'm certain the Crimean referendum will be recognized because it is just common sense,” Vanneste told RT, saying that while historically Russian, Crimea was artificially transferred to the Ukrainian Republic only in 1954 by the USSR leadership. Vanneste said that the public in the West is provided a perverted picture of events in Crime by the media. “I hope that gradually this disinformation, which is largely influenced by American actions, will disappear. Right now we are witnessing inequality relating to the situation surrounding Crimea,” he stressed. Former European MP, Ivan Blo, told RT that the EU only implemented sanctions against Russia over Crimea under pressure from the US. “People that wanted sanctions were the Americans, but not in fact the Europeans. Now the Europeans are fed up with the sanctions. They think it is very bad for the economy because there is a lot of exchange between Europe and Russia,” he stressed. “A lot of western European government would like to stop the sanctions, but they need an agreement with the United States,” Blo added. 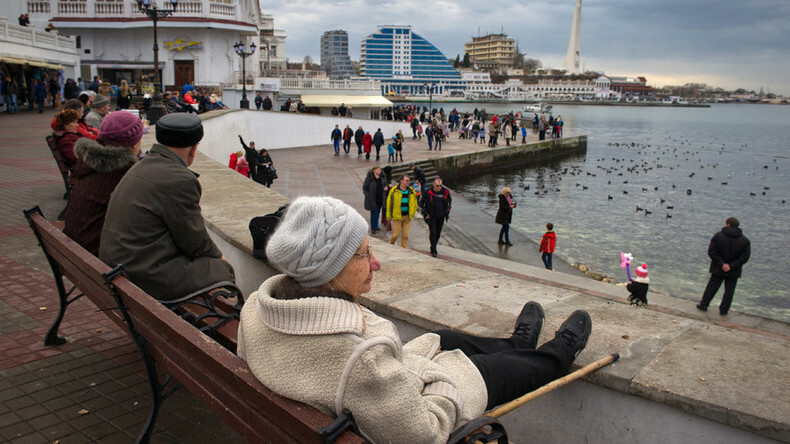 In an effort to reverse the Western outlook on cooperation with Russia, a number of foreigners and western politicians have visited Crimea over the last two years. A group of French lawmakers, led by Thierry Mariani, were the first foreign politicians to visit Crimea after reunification with Russia in the summer of 2015. Italy’s former Prime Minister Silvio Berlusconi arrived at the peninsula last autumn to hold a meeting there with Russian President Vladimir Putin. Matteo Salvini, the leader of Italy’s Lega Nord (North League) party, and Kimura Mitsuhiro, the head of the Japanese socio-political organization Issuikai, have also visited Crimea. 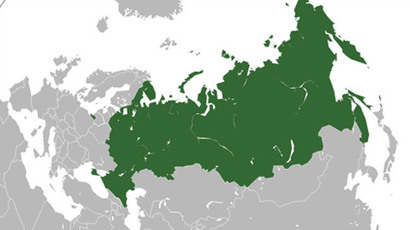 These moves are pushing the Europeans to reconsider the wider relationship with Moscow, Sakwa explained. “There are some leaders, the Italian leader, and some other countries are talking about what sort of deal could be established to allow Crimea to thrive in the new circumstances, but above all for some sort of more satisfactory relationship between Russia, Ukraine, and Europe as a whole,” he said.